If you’re around the WVU Mountainlair this week, stop and check out the fundraising efforts from WVU students on our behalf! Just look for our green tablecloth! West Virginia DOT Division of Public Transit is updating the Regional Coordinated Public Transit-Human Services Transportation Plans, which seek to develop strategies to address unmet transportation needs throughout the State. Help improve transportation options in your community by completing this survey. Thank you! The SABE GoVoter Project is investigating issues around voting for people with disabilities. We are asking these questions about the November 6, 2018 government elections; not your advocacy group’s or organization’s elections. You do not have to complete this survey or answer any questions. If you choose to answer, it will help us to learn about your voting experience and how we can make it better. We do not ask for your name so no one else will know what you said on the survey. In our report we will only share the city and state you live in. If you have more questions about your privacy, please contact Essie Pederson at essie.pederson@gmail.com. You can call a SABE GoVoter team member and ask them to help you with the survey. Contact Teresa Moore at mooreadvocacy@hotmail.com or (602) 725-3117. The survey deadline is January 1, 2019. Just as it is important to know that YOUR VOTE COUNTS, we need to know that you have the accessibility you need to MAKE IT COUNT! Come out to Sip N Dip at Buffalo Wild Wings and experience something fun! Choose the painting you wish to paint while Angelina guides you through all three. 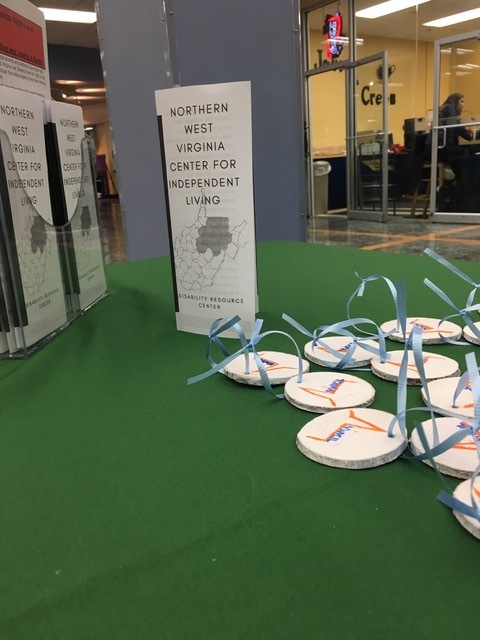 Part of the proceeds from this event will be donated to NORTHERN WEST VIRGINIA CENTER FOR INDEPENDENT LIVING. We hope to see you there! West Virginia Department of Transportation, Division of Public Transit Cordially invites you to attend a public workshop to contribute to the plan. Please come and provide your input and insights to discuss unmet transportation needs, gaps in transportation services, and recommended strategies to improve transportation and mobility options in and around Doddridge, Harrison, Marion, Monongalia, Preston and Taylor Counties. Meeting facility is wheelchair accessible. If language translation services are needed, please call Zach at 800-684-1458 in advance, or notify your local agency so that they may coordinate with the meeting facilitators. Take our online survey on transportation needs! Open Enrollment for 2019 runs from November 1, 2018 to December 15, 2018. There are 38 days left to enroll! Outside the Open Enrollment Period, you generally can enroll in a health insurance plan only if you qualify for a Special Enrollment Period. You’re eligible if you have certain life events, like getting married, having a baby, or losing other health coverage. 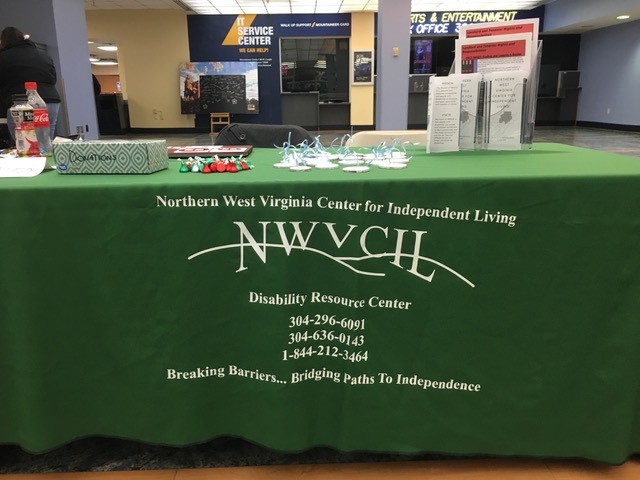 FYI: The WV Olmstead Council wants all people with disabilities to be able to live, work and socialize in their communities as other people do. The Council’s work is based on a U.S. Supreme Court decision that upholds the right of people with disabilities to live in the most integrated setting. For more information about the Olmstead Council, contact Vanessa VanGilder, Olmstead Coordinator, Vanessa.K.VanGilder@wv.gov. The ACLU has information about early voting, ID requirements and polling places. For more information and downloadable PDFs please visit ACLU.org. 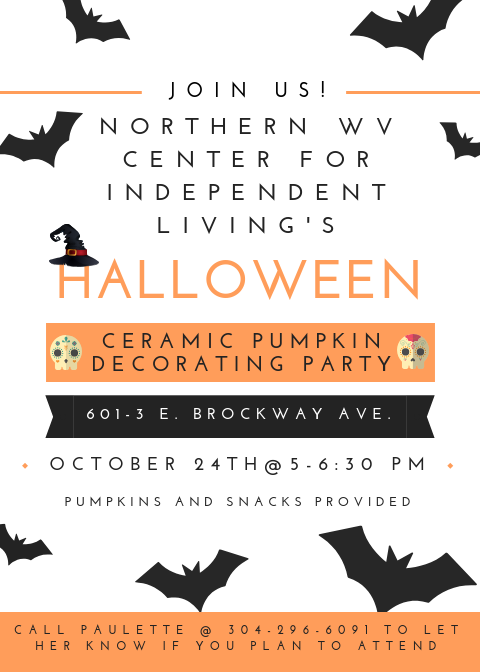 NWVCIL is hosting a ceramic pumpkin decorating party on Wednesday, October 24th at 5:00 PM! Pumpkins and snacks will be provided. For more information, or to RSVP, please contact Paulette at 304-296-6091.